Going on vacation? Grandparents coming to visit? If you’re worried about breaking the “rules” when it comes to sleep, try not to! Balance is really the key when it comes to having babies, toddlers and children out of their routines. Travel, guests, special events and holidays can all bring later nights, or sometimes life just happens. Making sleep a priority is typically the key to sleep success. Babies and children THRIVE on consistency and many parents stress when upcoming events will break their beloved routine. Where’s the fine line in allowing your little one to enjoy a special event or a later night and miss out on some sleep? What happens when you expect several later nights in a row? First, it’s important to know your child’s temperament and how they respond to later nights and a change of routine. Is it a disaster every time? Does she take it in stride? Does it take days to recover? Can you do anything to make it easier? 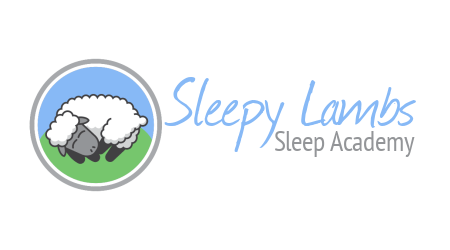 The unique Sleepy Lambs approach is about parenting and supporting sleep in the REAL world. Not a textbook, where babies and children are robotic and your schedule is the same 365 days a year. Those later nights can create the best memories for your children! Fireworks, campfires, parties, visitors, looking at the stars and the moon, or an incredible light storm. Creating memories is part of our job as parents too! Perhaps you have memories of later nights growing up too? It’s important to know that the wake-up time is very engrained for most babies and children. You may have noticed that even if you put your baby or child to bed later, they still wake up at the same time? Frustrating as it can be, it’s to be expected. It’s their normal body rhythm. The s used to being drained of the hormones that help them fall asleep and stay asleep (melatonin and adenosine) at that time, so even if your little one is still tired, they’re prone to wake-up at the same time. If you’re lucky, you have a little one who will sleep a little later and catch up on some sleep. If you have one late night and life is getting back to normal the next day, it’s actually better to start the day off at the same time. That will mean any naps will be at the same time and bedtime will be at the same time and you’ll have your routine back. Starting the day off at the same time is key to a consistent routine. If you have multiple late nights or an irregular schedule, plan ahead! Ensure to make time for naps in the day and perhaps throw in a late afternoon rest to help prevent overtiredness. If you have a baby who normally has a late afternoon catnap, turn it into a longer nap, if possible. If you have multiple late nights or an irregular schedule for several days (holidays? Christmas? ), it may be worth ensuring you make sleep a priority every two or three days. Take a day off from activities and ensure there is plenty of time to rest, with less-stimulating activities and a bedtime closer to normal. You’ll likely be glad for the break and it may make the rest of your vacation much more manageable. It would be easy to think that young babies struggle the most with a change in routine, however, it’s typically toddlers and children who have the hardest time. Babies have regular naps and short wake windows. They may be able to sleep on-the-go, too. Toddlers and young children typically have much less day sleep and as a result, can struggle to stay awake much longer than normal. Did you know that one of the major signs of an overtired toddler or child is hyperactivity? They get a surge of stress hormones – cortisol and adrenaline, which causes the hyperactivity and silliness, and causes them to fight going to sleep, sleep more restlessly, and wake up sooner. It literally means that once overtired, they are biologically programmed to fight sleep! On a recent trip to Disney, by late afternoon and the evening, it was very easy to see little ones who were WAY overtired, o verstimulated and just done. In many cases, parents were clearly frustrated by the behaviours and exasperated. It’s a tough one. You’re creating wonderful memories (or trying to), yet sometimes it’s a bit too much for little people. Trying to cram as much as possible into a day, less-than-ideal nutrition, and fireworks that start at 11 p.m. can really take their toll on everyone. Sometimes, less is more. A later start, a break for a rest in the middle of the day, or an earlier night may help. Even planning ahead with some nutritious snack filled with protein and carbohydrates can help, along with extra water to stay hydrated. Sometimes the challenge comes from returning to normal after all the excitement. This is when making sleep a priority is important. Several days of consistent bedtimes, naptimes, and routines can help. You may see some resistance at first, but consistency is really essential to get back on track. If bedtimes have been later for several nights, ensure your little one gets lots of time in their pre-bed routine to produce melatonin, the hormone secreted by the pineal gland to help us fall asleep and stay asleep. It’s mostly produced when the eyes see dim or dark light, so ensure the TV and any screentime is over at least 1-2 hours before bed. Within a few days, you’ll all be back on track with great memories to look back on! Mary Foster is the founder of Sleepy Lambs Sleep Consulting, a mum of three (“three under three at one time), and has an amazing husband, Gavin. Mary loves to travel, visiting 52 countries to date. She’s a proud Canadian and loves living in the U.K.
Mary has struggled with sleep-deprivation, with two of her three struggling with reflux. She’s passionate about supporting parents and giving the tools they need to help improve sleep, always with a strong focus on emotional wellness and sleep science. The Sleepy Lambs approach is unique and achieves outstanding results. The Sleepy Lambs Sleep Consultant Training Programme is one of the fastest growing sleep consultant families in the world, with new Sleepy Lambs Sleep Consultants joining from all over the England, Scotland, Ireland, and Canada, with aim to expand into Wales, Northern Ireland, the U.S.A., Australia, New Zealand, and worldwide. Click here for more info.